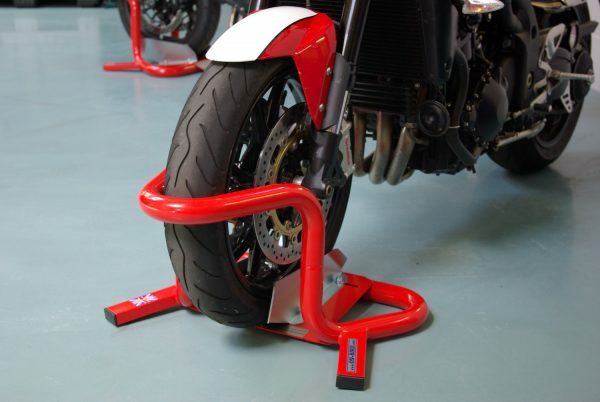 BikeGrab is the Only Universal motorcycle Wheel Chock, It has been designed for use with all bikes old or new and can be used on either the Front or Rear Wheel, You simply Ride In, Get off and walk away leaving it firmly holding your bike Safely in the vertical position with its Vice Like Grip plus it will give you some valuable extra space in the garage as opposed to the bike leaning over on the side stand! 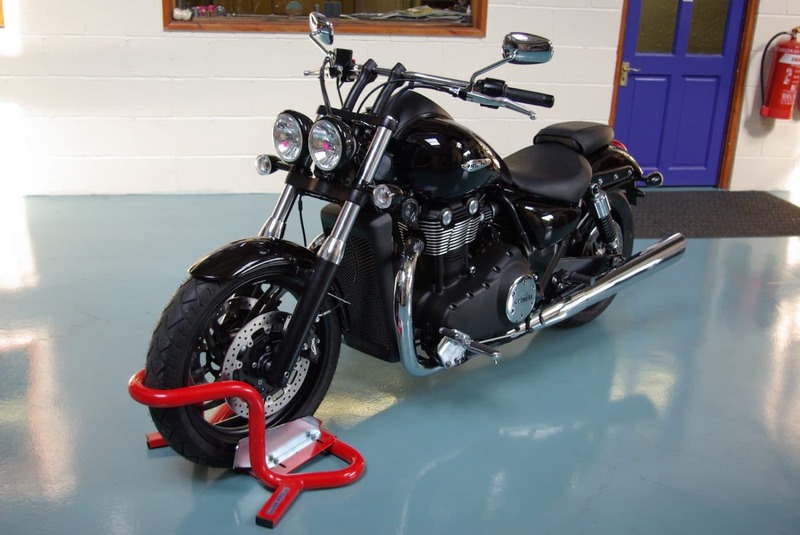 In its standard form it will accommodate tyre sizes from 120 to 195mm width, for sizes below 120 you will need to use our Reducer Kit shown in the Drop Down Menu. 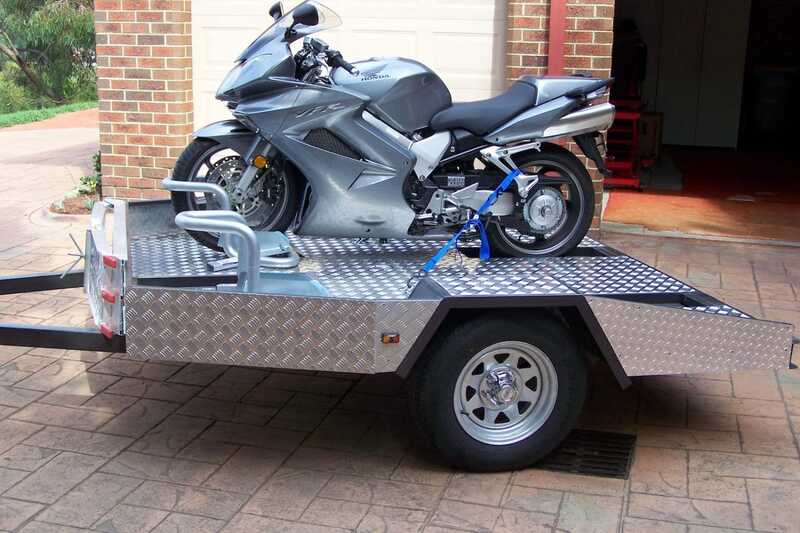 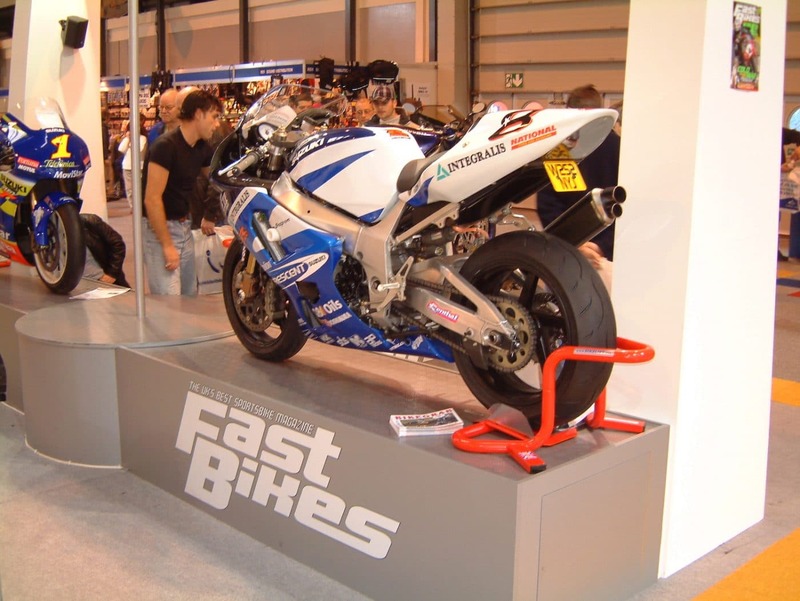 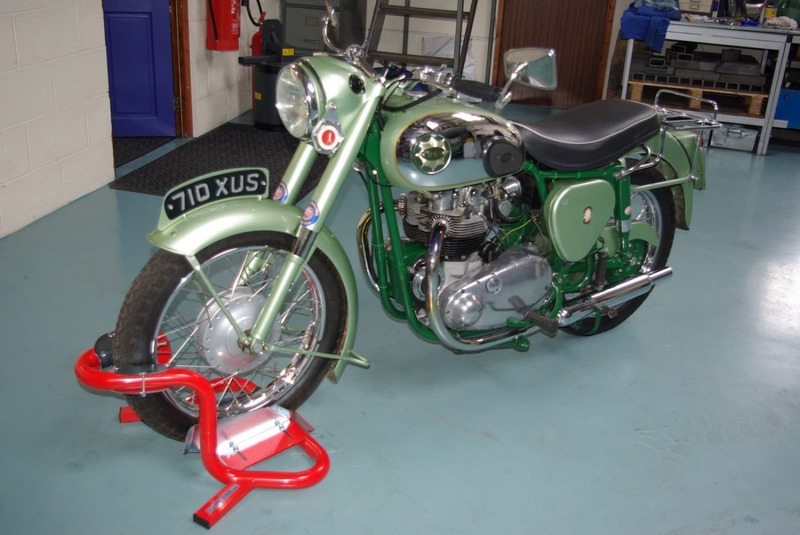 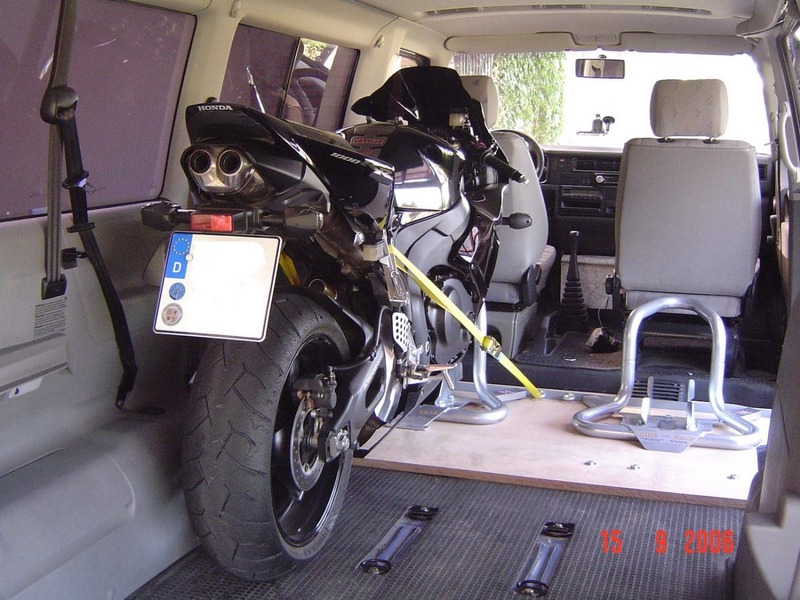 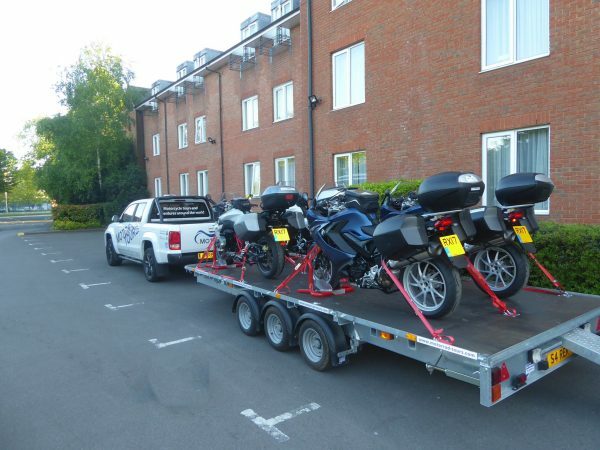 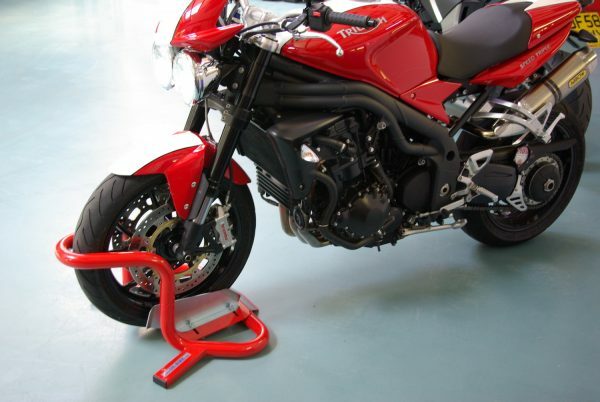 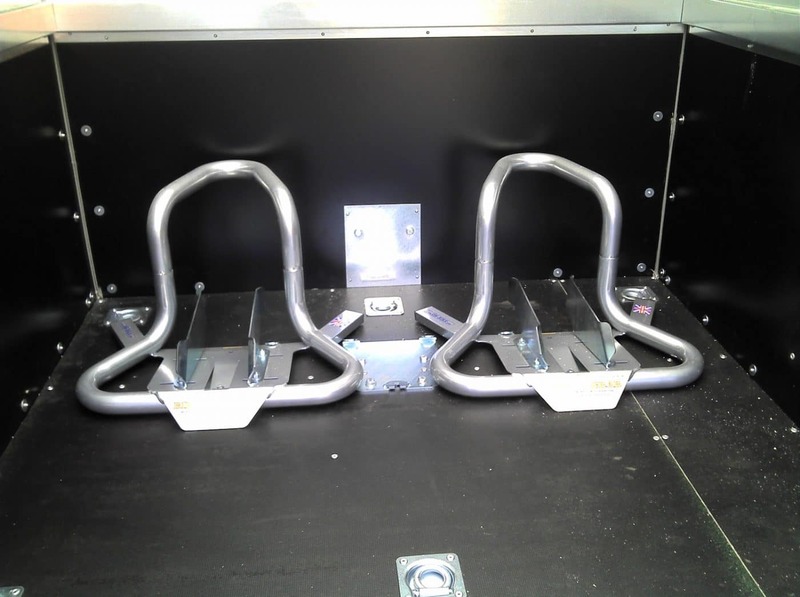 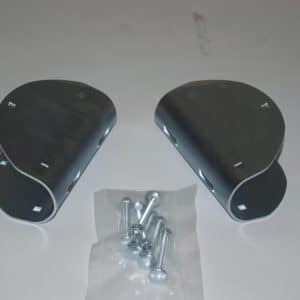 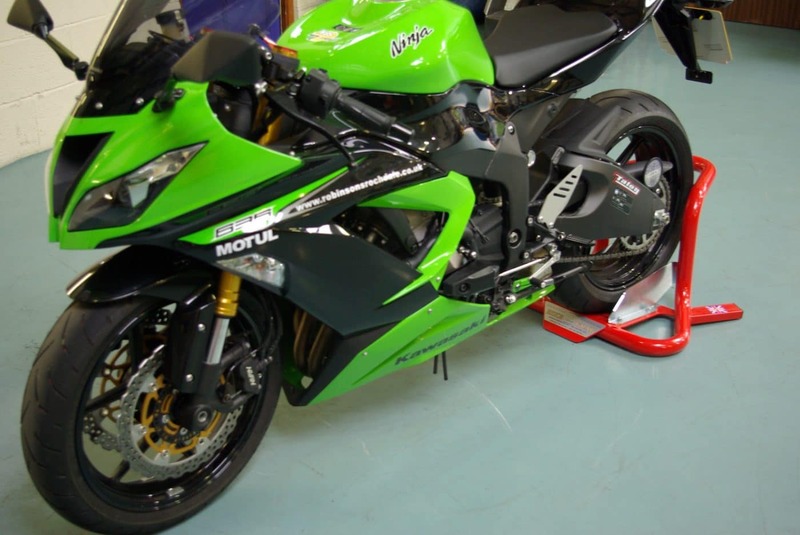 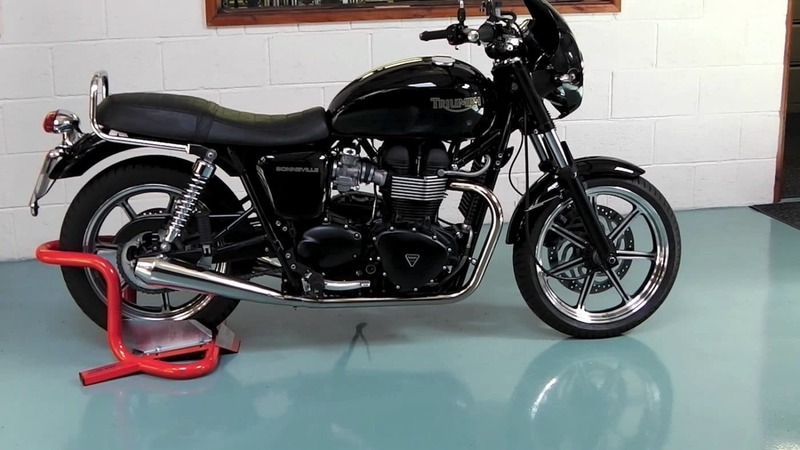 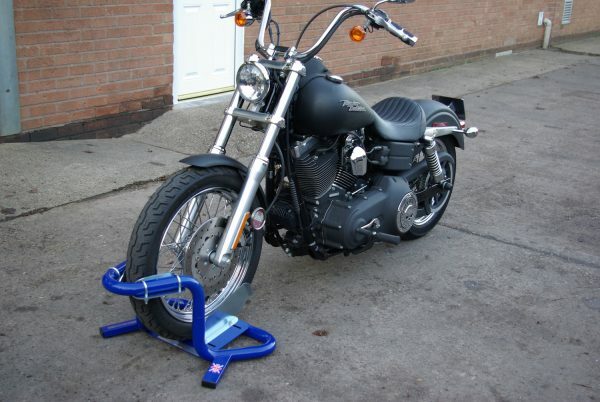 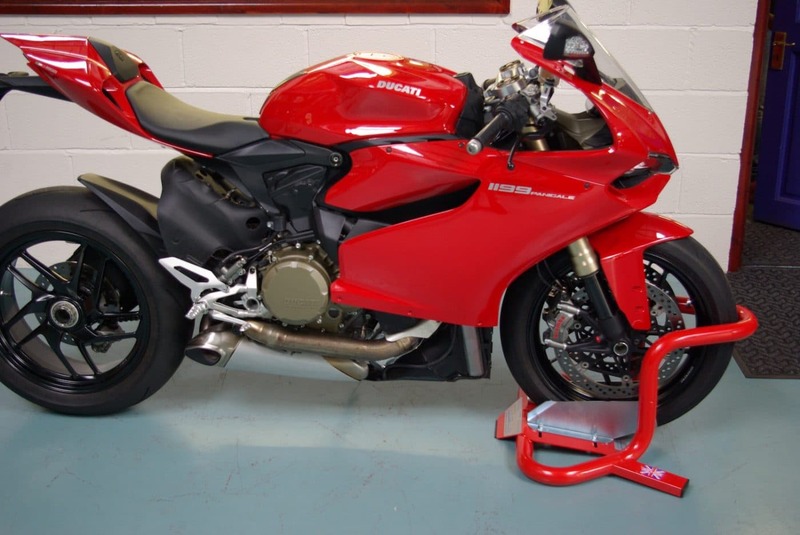 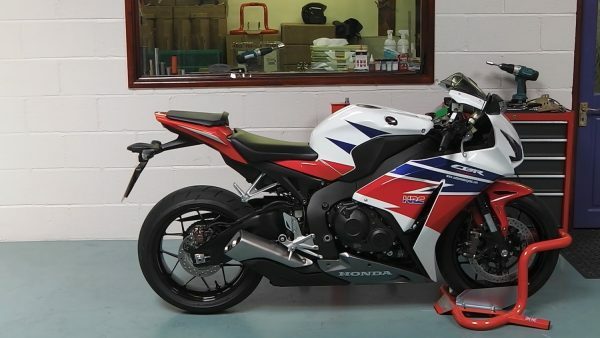 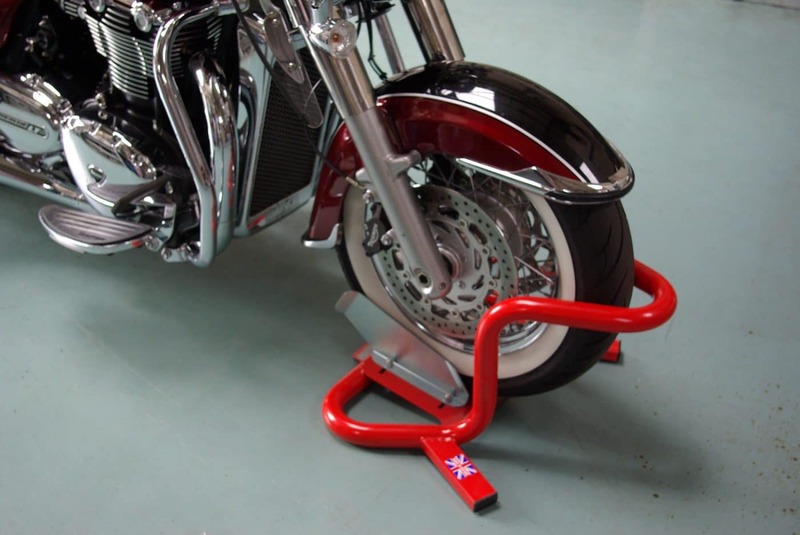 We also provide the Quick Release kit for securing down to the garage floor or for use in Vans and on Trailers, with the plate secured down the BikeGrab can be Locked into place or removed in just seconds, Ideal when trailering the bike to the racetrack and then remove for use on the tarmac ! 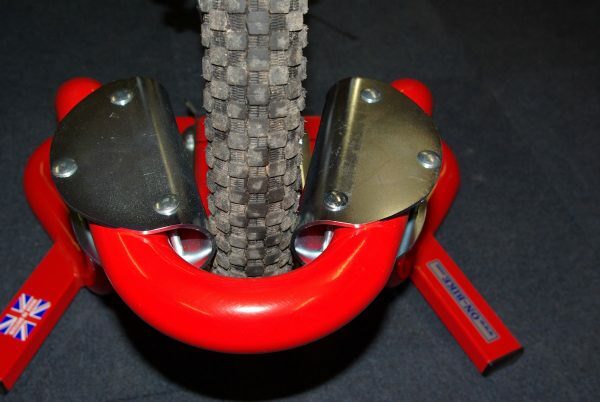 Get your BikeGrab stand now, you need it and deserve it!! As you can see from the pics below our Reducer Kit simply clamps into place on the tube with the bolts provided and reduces to gap that holds the tyre firmly in place, it is also worth noting that they can be positioned at varying angles from horizontal towards the vertical position to suit your needs and tyre size! 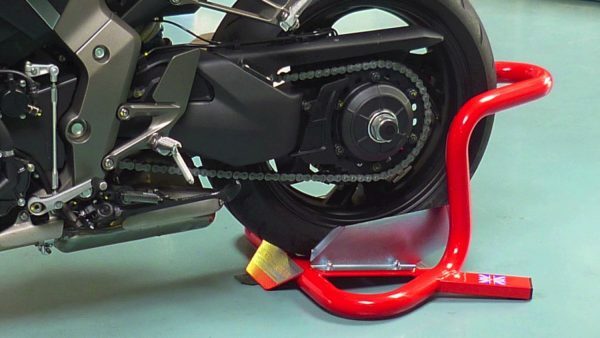 The Quick Release plate enables the BikeGrab to be locked down to the Van, Trailer or garage floor taking only seconds to perform. 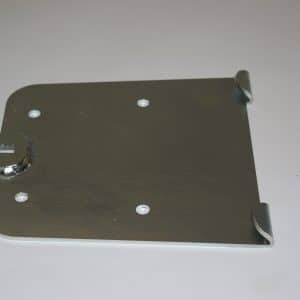 Bolt the plate down in the vehicle or even your garage in the desired position using 4 M10 fixings (not supplied) then slide the Grab into place so the Tabs on the plate engage the baseplate of the stand, the captive 10mm high tensile Coach bolt is then located into the slot at the front of the plate, Tighten this with a 17 mm wrench and your all set to go!